I have been follower of ANTM (America's Next Top Model) for as long as I can recall. Their hardships in every challenge reminds me of the ordeals being a freelance photographer's model for 2 years. 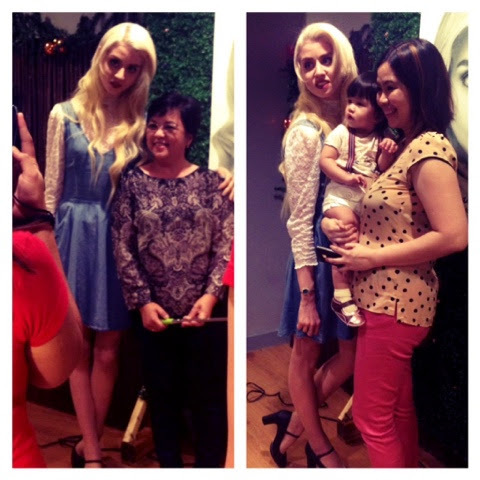 Bioessence had a promo for the Blogapalooza 2014 participants: Write an article featuring Bioessence and get a chance to meet Allison Harvard in person". I was so up for it, however I failed miserably at beating the deadline. Then I received a message from one of my favorite bloggers May of Fully Housewifed (I have been reading her blog before she knew I existed) whom I met in person at Blogapalooza. 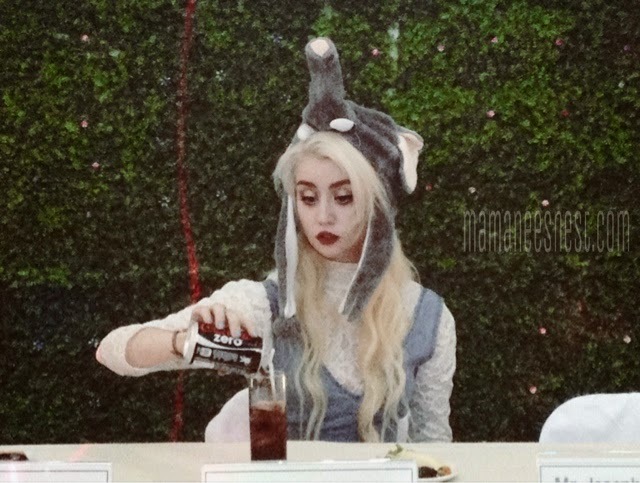 She asked if I would be interested to take her slot to meet The Allyson Harvard - are you frggin' kidding me?!?! I am more than interested! I'm like rolling like Rapunzel down a hill! 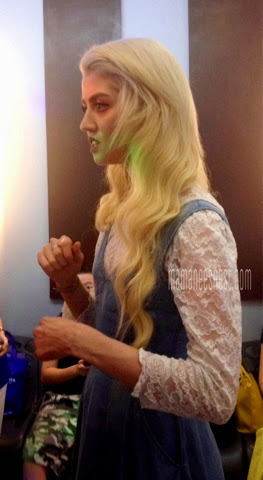 So off I went to Shaw Boulevard feeling pretty and ready to meet one of the models I had watched and followed on ANTM. 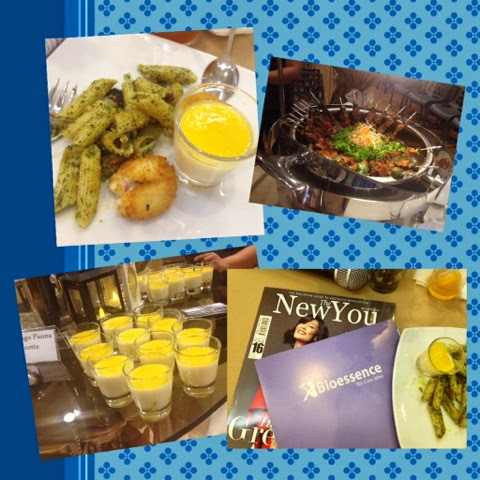 The Bioessence meet and greet was set in a quaint restaurant which was an intimate gathering of bloggers and winners of their Twitter promo. Just as I sat down and wait, there she was standing in front of me. Crap! Tall, big beautiful eyes and a smile that radiates. I took a stolen shot hahaha. So fan like! Allison (first name basis, feeling close) then welcomed photos to be taken with her as well as selfies! A Q&A portion followed where she candidly answered questions, I asked her why did she agree to represent Bioessence, she believes intaking care of herself and that is what Bioessence is all about. Allyson during the photo op. It turns out that Allison has been living in The Philippines for two years now and that she jas an on-going tie-up with Bench. 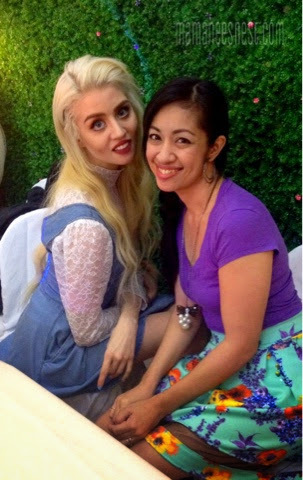 She has on-going projects here in the country and says that her favorite guilt food is Ube Jam from Baguio! It was amazing meeting Allison in person and the gathering was put together smoothly, food was great and Bioessence made everyone feel welcomed. Most of the time I was gawking in awe but all the lack of sleep and gruelling MRT ride was worth it! We all got a signed photo with Allyson! Allison's favorite Bioessence Treatment is the Oxygen Botanical Celebrity Facial that helps bring out her natural glow and protects her skin from her daily routine stress. Currently Bioessence is 20 years and counting and has 50 outlets nationwide.Through 0918-8-BEAUTY, you can book an appointment for facial, slimming or wellness offers, inquire about their latest beauty products, and even to locate the nearest Bioessence Branch, subsidiaries and clinic hours. Make Bioessence your TOP CHOICE. I'm so happy that you are happy. I knew you were the right person to ask! :) Anyway, I'm amazed that Allisson would be living here in our country where the weather is so much different from where she's from. Such an adventurous woman! Thank you May as in sooo much! You are welcome. :) Hugs. Super pretty! I had my jaw open in awe for most of the time! Been curious about Bioessence. Havent tried them... Will check them out one time. Meanwhile, Allison is indeed, so white! hahaha. Lol. Where usually yung mga followers ng ANTM ang may kilala sa kanya. She has so many projects here sa Pinas! I'm sure you will. She is a lovely person, inside and out. 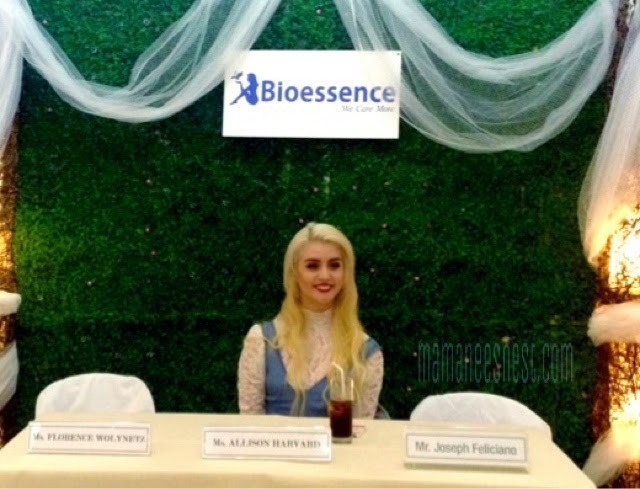 I am happy Bioessence got her as their product endorser. Hahahaha I know right especially because of her big beautiful eyes. I also watch ANTM and I liked her when she was a contestant there!. Lucky you! nakapagpa-photo opp ka with her!